Offering you a complete choice of products which include cisplatin injection, emend injection, dacarbazine injections, dactinomycin injection and neupeg injection. 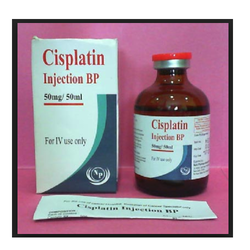 Cisplatin belongs to a class of medicines called cytostatics. It prevents DNA synthesis in cancerous cells, thereby affecting the overall function of the cell and causing cell death. 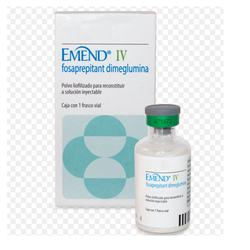 e is one of the leading exporter, supplier, distributor, wholesaler, trader and importers of a wide range of Emend Injection that is formulated by using safe and pure ingredients. These medicines are made available in various packaging options to suit the varied demands and specifications of the clients. 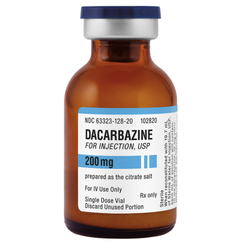 Leveraging our vast potential, we have come up with Dacarbazine Injections for our treasured customers. It is much regarded for its ability to slow down and stop cancer cells growth in the body. We formulate this solution in a hygienic environment with the aid of quality inputs and sophisticated technology. Offered solution is competitively priced. 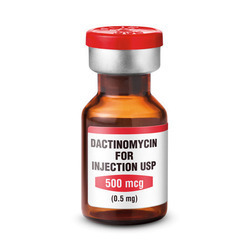 we are providing a vast assortment ofDactinomycin Injectionwhich is one of the important and foremost drugs prescribed to the cancer patients. The offered assortment is formulated by making use of sophisticated processing methodology and lab-tested chemical compounds under the vigilance of trained pharmacists. In addition to this, offered products are available at reasonable rates. we are offering a gamut of Neupeg Injection. These products are used as per the doctors advice and are procured from the most reliable vendors of the market. Owing to its superior quality, the offered range is widely acclaimed by the customers. Our customers can avail these products according to their requirements. Looking for Bortezumib Injection ?